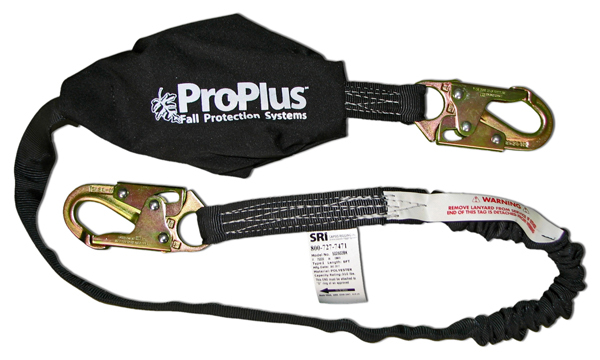 The ProPlus Tubular Lanyard and Rescue Assist Ladder combines a Rescue Assist Ladder pouch with a 6' shock absorbing tubular web lanyard with standard locking hooks. The ProPlus Rescue System Assist Ladder contains a 16' long synthetic web ladder that deploys automatically in the event of a fall. The technician may then use the ladder to self-rescue or support their weight while awaiting rescue.